iPad Not Showing up in iTunes? Here’s How to Fix It! 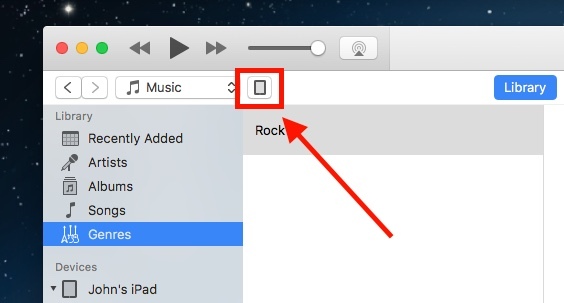 Last time, I wrote a post on how to find the “Summary” tab in iTunes. The solution was actually very simple: Just click your iPad icon located on the top left of the app. You'll see the tab immediately, and then you can sync files or backup your device data. Today, I encountered another issue. Here are the details. I have a habit of backing up my iPad regularly: I learned that lesson once after losing my loved iPhone 5 at Disneyland Anaheim. I began the backup process as I usually do: I first used the lightning cable to connect my iPad and plugged the other side into the USB port of my Mac (a mid-2012 MacBook Pro based on macOS Sierra). Since I had set my Mac to open iTunes automatically when an iOS device is connected, the app launched almost instantly. 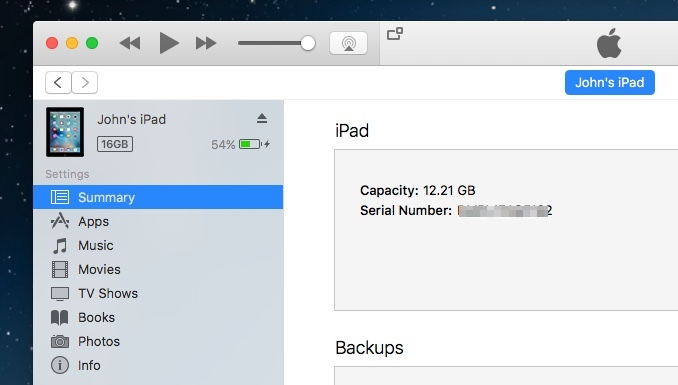 It was obvious that my iPad was detected by the computer — but to my surprise, I couldn't go to the “Summary” tab, and couldn’t back up my device. Why? Because I couldn't locate the iPad icon on the upper left side. It's supposed to be there, as you see from the below screenshot, but it wasn’t. I restarted my Mac computer. It still didn’t show up. After some trial and error, and thanks to this troubleshooting guide from Apple, I was able to fix the problem and make the iPad icon show up in iTunes again. However, I feel there's still some room for the Apple team to make that troubleshooting article more in-depth. That's why I decided to write this article. I’ve shared a step-by-step tutorial for you. Step 1: Update iTunes app to the latest version. See this Apple support tip for how to do so if you're on a PC or Mac. 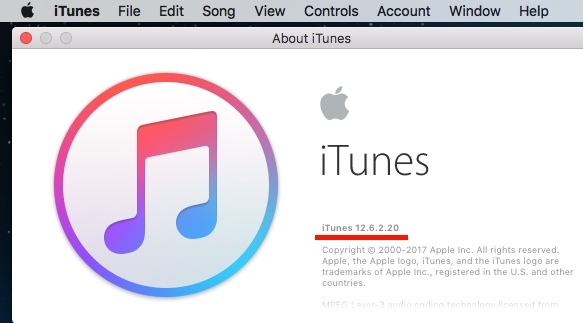 As of this writing, the latest iTunes version is 12.6.2.20. Step 2: Re-connect your iPad. Unplug the lightning cable and re-plug it into your PC or Mac. On your computer screen, you should see this pop-up window asking whether you want to allow the computer to access information on your iPad. Click “Continue”. 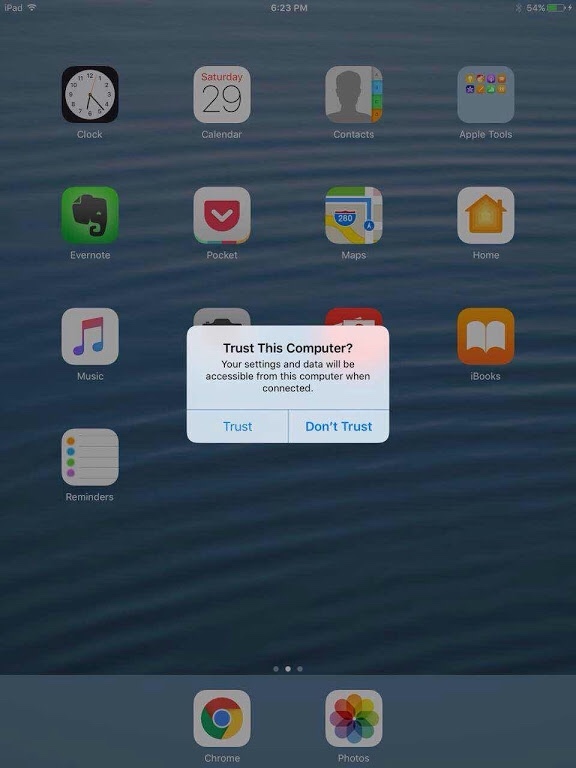 Step 3: On your iPad, tap “Trust” when the “Trust This Computer” pop-up shows appears on your iPad screen. Step 4: Open iTunes. The iPad icon should now appear. Click on it. Step 5: Here we go! Welcome to the classic Settings screen with the “Summary” tab clearly present. Now you can back up your device, sync data, or do whatever you want. That's it! 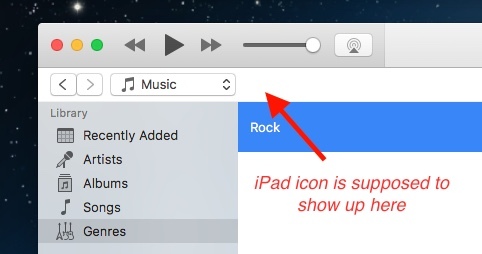 I hope you find this little iPad tip helpful. If you have any additional questions, leave a comment below–or you can visit my blog and contact me personally. Either way, I look forward to hearing from you. Bio: JP is the founder of SoftwareHow, a blog where he shares tech tips and tricks with his readers, as well as reviews of software programs that could improve your daily productivity. Besides technology, he also loves reading, photography, and fishing.